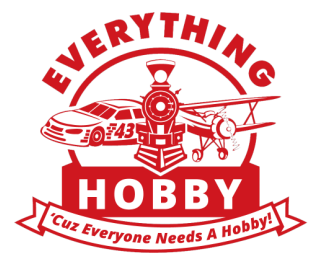 Everything Hobby has been a hub of the Southeast Minnesota hobby world for over a decade. We carry a large inventory of radio-controlled vehicles, parts and supplies, as well as specialty items to fit all your hobby needs. We believe everyone should have a hobby, and we take pride in providing the best selection and service to help you along the way. At Everything Hobby, we’re always expanding with new ideas and creating new opportunities for the surrounding community. ​Fuel My Brain is an off-shoot of Everything Hobby. A program dedicated to sparking people’s interest in science through events, videos, interactive exhibits, activities and workshops. These workshops encourage the exploration of science, stimulate creativity and inspire through hands-on learning. We offer educational classes, corresponding building kits, and all the resources to create a fun, educational experience. We also have a YouTube channel with lots of fun videos! Trucks to Troops is another program that is close to our hearts here at Everything Hobby. We started Trucks To Troops to provide our servicemen and women with remote-controlled trucks to help make their jobs easier and safer. These custom-fitted RC trucks were developed to offer our soldiers in the field a quick and safe alternative to seek out vital information. Check out our Trucks to Troops page for more information.